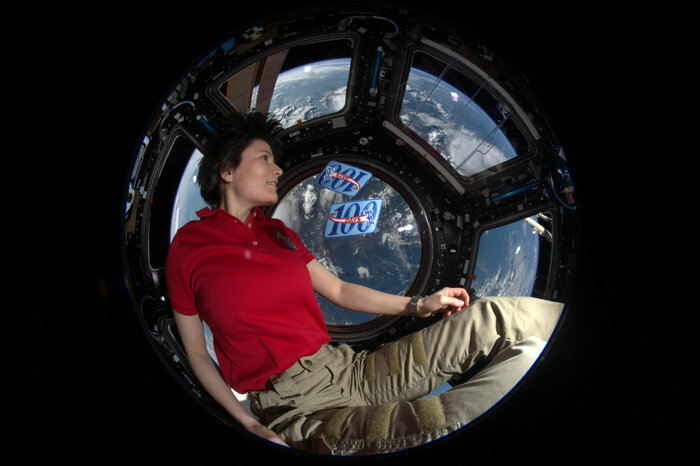 Many things have been written about ESA Astronaut Samantha Cristoforetti and her extraordinary 200-day mission to the International Space Station ISS. But nothing beats seeing her in person, on stage, right in front of you (or via the livestream). So we are happy to announce that Samantha will join us at TEDxESA on November 11th, 2015 with a personal account of her mission to space presented in a talk titled “200 days in Space: The Futura Mission”. Said Futura mission was an incredible achievement, setting new records both for the longest single space flight by a woman (199 days, 16 hours, if you want the exact number) and for the longest uninterrupted spaceflight of a European astronaut. Learn more about Samantha in the speaker section and follow the talk via the livestream. Samantha, you are an inspiration. If you are ever in Sydney, Australia, The Macarthur Astronomical Society would be proud to host you. We have hosted one of your colleagues Dr Greg Chamitoff in June 2014, and 2009 Nobel Laurette, Prof Brian Schmidt. Is Samantha going to publish a book of her ph0tos from outer space?